2008 is serving as an optimum time for reassessing the music of U2. With the theatrical concert presentation of U23D, reissues of its first three studio LPs (Boy, October, and War) as well as the upcoming re-releases of that era’s companion live album and film (Under A Blood Red Sky and Live At Red Rocks, respectively), the Irish rock band has reintroduced (and remastered) its roots. 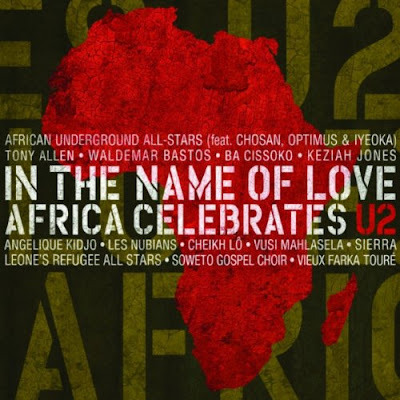 One of the most intriguing assessments of U2’s music this year hasn’t even come from the band itself, but rather from In The Name of Love: Africa Celebrates U2, a covers album featuring some of the continent’s most preeminent talents. Infused with indigenous rhythms and native dialects, the performances at times depart so boldly from the original versions that they merit intrinsic appreciation as opposed to comparative scrutiny. As such, the artists herein don’t deliver mere facsimiles of familiar songs; they render familiar songs into singularly inspired interpretations. Of particular note, Angelique Kidjo injects “Mysterious Ways” with wise blood as her tenacious vocal runs against a joyous choir. On “Bullet the Blue Sky,” Vieux Farka Touré overlays stark percussion atop coarse harmonica riffs and a low lyrical cadence. And on the album’s most literal musical translation, Vusi Mahlasela turns “Sometimes You Can’t Make It On Your Own” into something far greater than the sum of its parts, elevating the refrain, “you don’t have to go it alone,” into a mantra for his homeland’s extensive plight. In fact, the facility of these artists to affect innovative and eclectic perceptions of well-known material is much of what makes this collection such a unique delight. The Soweto Gospel Choir perhaps best accentuates this on “Pride (In the Name of Love),” as they endow a song ostensibly about tragedy with transcendent energy and affirmation. 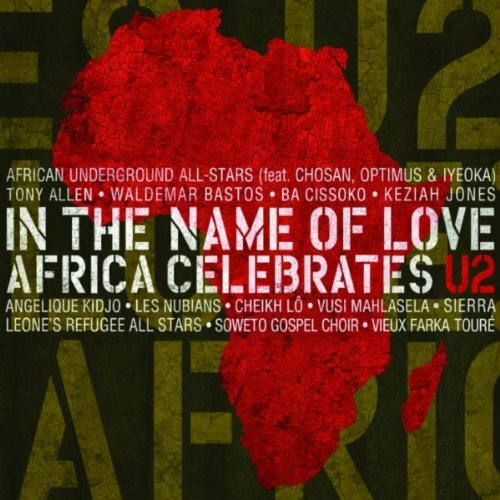 In the Name of Love: Africa Celebrates U2 not only salutes U2’s music, but it symbolizes the resilience of a ravaged continent as well.